The oil boom enjoyed by the Middle East brought a more luxurious lifestyle to many, but it also had an unwelcome side effect: a skyrocketing rate of diabetes. In Kuwait, the percentage of the population diagnosed with diabetes rose from 7 percent in 2000 to almost 18 percent by 2013. In Saudi Arabia, the number is 23.9 percent. Diabetes is, of course, a global problem. Over 415 million people worldwide were diagnosed in 2015 and the number is expected to grow to 642 million by 2040, according to the International Diabetes Foundation (IDF). But in the Middle East, the problem is especially acute. While the overall global incidence rate is 8.3 percent, many countries now are seeing rates two to three times higher. And of the ten countries with the highest prevalence of diabetes, six of them are in the Arab region: The United Arab Emirates, Bahrain, Lebanon and Qatar, in addition to Kuwait and Saudi Arabia. Dr. Nizar Albache, the regional chair of the IDF Middle East & North African Region (MENA), says the problem could double in the next 25 years. Some 35.4 million people in the region have already been diagnosed, and the IDF predicts that the disease will grow in the Middle East at a faster rate than in other regions. “By the year 2040, we are expecting to have 72.1 million people diagnosed in the region,” Albache says. As in the rest of the world, obesity, smoking and sedentary lifestyles are all fueling the spike. Obesity rates in the Gulf are now among the highest in the world. Dr. Ibtihal Fadhil, the World Health Organization (WHO) regional advisor of Noncommunicable Diseases Prevention in the Eastern Mediterranean, says that among the WHO regions, “the Eastern Mediterranean Region has the third highest rates of overweight at 47 percent, and obesity at 19 percent.” In some countries in the region, she says, “overweight has reached as high as 25 percent in children under the age of five, and obesity rates can be as high as 40 percent in men, and 50 percent in women.” Several countries report tobacco use in over 40 percent of all males, and many in the region have inactive lifestyles: the WHO says that 61 percent of the population in Saudi Arabia, 56 percent in Kuwait and 38 percent in UAE are insufficiently active. The resulting disease exacts a huge cost. “The economic burden of diabetes in the Gulf region is growing,” notes a 2015 report by The Economist Intelligence Unit, citing IDF figures that diabetes treatment in the MENA region cost US$16.8 billion in 2014 and is expected to rise to US$24.7 billion by 2035. Some areas are expecting the numbers to rise even faster: The Health Authority – Abu Dubai forecasts a nearly fourfold increase in healthcare costs for UAE residents between 2010 and 2030. While internationally 12 percent of all health expenditures are on diabetes, in the MENA region diabetes care takes up an average of 15 percent of healthcare budgets. Much of the cost is driven by late diagnosis. Without early detection, expensive complications from diabetes are already on the rise: For instance, in 2010, more than half of diabetics in Saudi Arabia showed signs of early-stage kidney disease, while in Jordan, five percent of residents have undergone diabetes-related lower limb amputations. In the UAE, over ten percent of those with diabetes also have coronary heart disease. Better self-care is key to reducing complications and cost. But doctors face a big task in helping their patients manage self-care. “Some of the biggest hurdles to diabetes treatment and prevention in the region are adherence to medication, a reluctance to change attitudes and adopt healthy lifestyle measures, and irregular follow-up with healthcare providers,” the WHO’s Fadhil says. She also cites as obstacles the availability and affordability of diabetes medicines, as well as the lack of geographic access to even the most basic primary care services. Proper diabetes care during the fasting that takes place during the month of Ramadan is another challenge for the region’s Muslims. Part of the problem is insufficient resources for diabetes prevention programs that could help with early detection of the disease. Between 40 percent and 70 percent of all healthcare budgets in most Arab countries are funneled to hospitals, leaving diabetes prevention programs struggling to get funding for their outreach. The region also lacks health educators to explain a diabetes diagnosis to patients. For instance, only eight percent of primary care health centers in Saudi Arabia have health educators on staff. Without basic education and counseling, people have limited and even skewed views of the disease, with many mistakenly believing that the condition is benign. In several Middle East countries, three quarters of those at risk had never been told of their risk. Over a third had never had a blood sugar measurement. Some governments are responding with targeted initiatives. In Qatar, diabetes screening centers are popping up in shopping malls and supermarkets. Taxes on some food items, such as sugar-laden carbonated beverages, are expected to curb consumption as well as raise money for further diabetes-related initiatives. A program in Oman called Health Vision 2050 aims to inform and educate citizens on adoption of healthy lifestyle and food habits. Turning to allied healthcare providers might be another answer for wider diabetes education. “People engage more often with their pharmacists than they do with their doctors,” says Dr. William Hsu, the vice president of international programs at the Joslin Diabetes Center in Boston, Massachusetts. 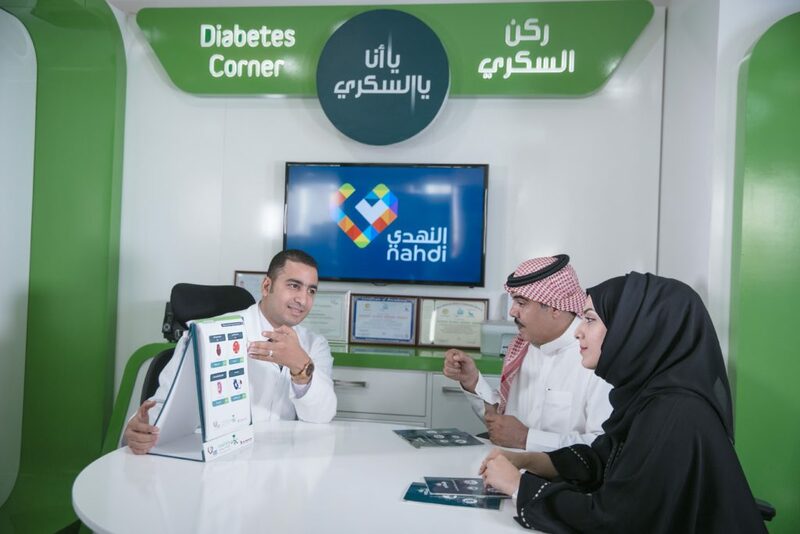 A “Let’s Talk About Diabetes” pilot program launched by Joslin Diabetes Center, in conjunction with the Saudi Arabia Ministry of Health, helped pharmacists in 11 Saudi locations counsel over 2,600 patients on diabetes. The program entailed four one-on-one 30 minute counseling sessions over a 2–4 month period and focused on explaining medicines, lab results, glucose monitoring and doctor visits. “The program demonstrated that diabetes control did improve,” Hsu says. So, too, did patient satisfaction, engagement with doctors and adherence to testing. “Patients were empowered through a productive dialog with their pharmacist,” he says. The IDF’s Albache adds that further outreach will be necessary, with a focus on reducing risk factors such as fast food consumption and low physical activity, as well as reducing complications, such as diabetic foot problems. “We need to act now to avoid a more catastrophic situation tomorrow,” he says. Shannon Lee is a freelance writer based in Pennsylvania.